The number of skilled workers is declining across industries, and young workers are changing jobs as often as they change iPhones. As a result, ongoing employee training is a growing priority for small businesses that hope to retain and develop workers internally. Adjusting to this shift hasn’t come cheap. Training Magazine reports small and midsize businesses (SMBs) with 100 to 999 employees spent $1,105 per learner on training last year, and a major reason is the high cost of creating quality training content. Learning technology has helped reduce the reliance on expensive classroom instruction, but creating customized, engaging, impactful e-learning content still requires a considerable investment by corporate trainers. Crowdsourcing is changing how we get around town with Uber and funding obscure products on Kickstarter, and now it’s changing employee training in the form of user-generated content: a concept that will improve your e-learning training courses and save your small business money, at the same time. Read on to learn what user-generated content is, its benefits to employee training and how to enable your workers to create cheap, effective e-learning content for you. User-generated content (UGC) is the bedrock of the modern internet. Tweets are UGC. So are Tumblr blogs, Facebook posts, Yelp reviews, Pinterest pins, YouTube videos and anything else created by the laymen and laywomen of the world wide web. But UGC is so much more than the baby pictures your friend posts on Instagram all the time; it has opened a huge door in the world of marketing. Over the past decade, savvy businesses have encouraged internet users to create content and essentially market their products for them (all at a fraction of the cost of a massive advertising campaign). A Recent Example of UGC in MarketingUniversal Studios created a meme generator for users to make customized memes promoting their film, “Straight Outta Compton.” Over six million were made and shared on social media—helping the film gross over $200 million at the box office. User-generated training content uses these same ideas of inclusivity and bang for your buck. It’s blogs, forum discussions, presentations, videos and other media, created by the same employees you’re training, about the lessons they’re absorbing, to continually enhance your e-learning content for the future. Once only possible for massive organizations, the decreasing cost of software, along with the increase in available options, is allowing SMBs to realize the benefits of UGC in employee training as well. 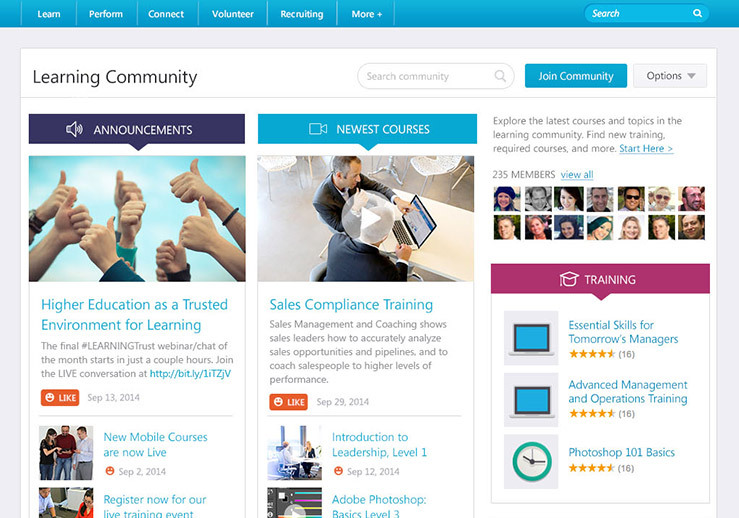 The emergence of learning management system (LMS) software has made creating and facilitating UGC easier than ever, and companies are responding in turn. According to Gartner, “By 2018, more than 80 percent of organizations will leverage user-generated content as a part of their corporate learning strategy.” (Source: Predicts 2016: HCM Applications Transform to Support the Emerging Digital Workplace by Ron Hanscome, Jeff Freyermuth, Yvette Cameron and Helen Poitevin. This content is available for Gartner clients). If you face ever-changing compliance rules or an imminent product launch, a blog or video from your subject matter experts (SMEs) on the frontlines could prove more flexible and timely than a formal training course. Too much e-learning content relies on absorption instead of interaction. Learners read articles or watch hours of video made by someone else, then they’re tested on how much information actually stuck. No wonder more than 40 percent of respondents in a 2013 survey said their training program was boring. UGC, on the other hand, is built around employees engaging with the training material—providing feedback, sharing knowledge and fueling organization-wide discussions. With more of a role in the proceedings, trainees will not only feel more immersed in the material, they will also have a greater sense of ownership in what’s being taught. This can help eliminate the boredom issue and even improve worker retention. Gartner states, “Learning and development (L&D) and HR teams often have limited resources to create and distribute learning materials.” This undoubtedly factors into the high cost of creating e-learning content from scratch, especially for smaller organizations. A 2009 study by the Association for Talent Development has the average cost to develop just one hour of finished e-learning content at $10,054, once you factor in trainer salaries and materials cost. A more recent study by University College London has this number pegged as high as $20,000. With the right tools in place, UGC can lower content costs dramatically—expanding the number of content creators in your organization, while only sacrificing a few hours of productivity for employees to contribute blogs, forum discussions and otherwise. 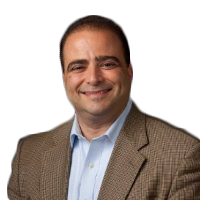 As the director of sales training for The Cardiac and Vascular Group at Medtronic, part of Pat D’Amico’s job is teaching salespeople how to negotiate—a vital skill for an organization that sells expensive medical devices to health care organizations. To do this, Pat teaches regular courses, where he goes over different scenarios salespeople might encounter and provides dialogue on how to respond properly. Afterward, Medtronic salespeople use video learning platform Allego to record themselves practicing these scenarios over and over to perfection. Once they have a response they’re satisfied with, they submit it for grading. After reviewing salespeople responses on Allego, they select three of the best responses to each scenario, and share them with the entire company as best practice examples. Allego also allows for reactive training on the fly for Medtronic salespeople, thanks to a link with their customer relationship management platform, Salesforce.com. If a salesperson has advice for dealing with a specific client after a meeting, they can record a video in Allego, then tag it to that client’s profile in Salesforce for everyone else to view. Topic tags in Allego are also available, so if a salesperson needs to review best practices with “heart failure readmission rates,” for example, they can do so with a quick search. Get the right tools. Many LMSs, even for small organizations, have social learning functionality that allows employees to start course discussions, write microblogs and share media with others to get the UGC machine churning.Our LMS page has a wide variety of systems to check out, while our pricing guide offers cost numbers for a number of popular solutions (spoiler: they’re lower than you think). Niche video training platforms such as Allego are a viable option as well. Encourage employee contributions. You could require employees to contribute a certain amount of UGC to pass training courses, but the best training content tends to come voluntarily from SMEs eager to share their knowledge. Gamification features such as points systems, badges and leaderboards can entice your learners to engage more with their training. Find a balance. UGC can’t fully replace formal e-learning courses built around complex topics or proprietary practices. Assess your learners’ knowledge with quizzes and tests often, and get informal feedback through surveys to see what training content is working and, more importantly, what training content isn’t.